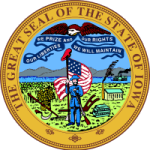 With the help of the child support recovery unit in Iowa, you can make your case be heard. It helps parents who are not receiving support from the other parent, for child support, to start receiving it. When you find yourself in a situation where, you were receiving that payment but the parent paying it has refused to continue making those regular payments, then you can file for a complaint. Step 2: Read the instructions as the opening statement and understand what you are required to do. Step 3: Fill in the tables with the required details that follow from page 3 to 5. Step 4: Read the statement that follows after this and sign it. Step 5: Go here and find your local office address and send the filled form there.